KIT digital, a provider of end-to-end video management software and related services, has confirmed the first major multiplatform deployment using technology from ioko, acquired by KIT digital in April 2011. BSkyB, the multichannel, multi-platform television service in the UK and Ireland, has selected ioko, now rebranded and part of KIT digital – to support and manage its new multiplatform TV service, Sky Go. Sky’s new offering combines two existing products – Sky Player, Sky’s online TV service, and Sky Mobile TV, the UK’s largest mobile TV service – into one new service, Sky Go, available free of charge to existing Sky TV customers, and for a fee to non-Sky TV customers. Subscribers are provided with flexible access to Sky channels and programmes on up to two registered devices including the iPhone, iPad, PC, Mac and Xbox 360. In 2005, ioko first helped develop, build and manage the Sky Player Platform, Sky’s over-the-top (OTT) TV platform, the first of its kind in Europe, and has worked with Sky since then continuously to enhance its online TV offering. 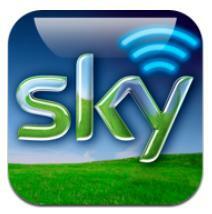 Sky’s existing back-end infrastructure has been enhanced to enable the delivery of content to the iOS Apple devices. The security framework surrounding the platform has also been further enhanced to allow Sky to fully control the concurrency of content being delivered to subscribers on a restricted number of devices, across all Sky Go platforms. Holly Knill, Head of Sky Go at BSkyB, said the new service offered a true value-add for its customers, providing flexible access to content outside of the living room.